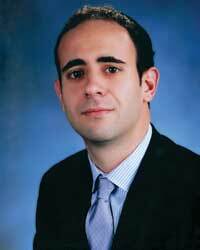 Mr. Polemitis was previously a partner in New York and London for Oliver Wyman (formerly Mercer Management Consulting), one of the world's leading strategy consultancies. At Mercer, Mr. Polemitis helped Fortune 500 executive teams in financial services, technology, energy and private equity manage their growth and investment strategy. His research at Oliver Wyman has been published in Buyouts and cited in the Financial Times (London). More recently, he has worked for a private investment fund with a particular focus on funding and growing service companies in India where he has traveled multiple times. Mr. Polemitis holds an MBA from Harvard Business School where he graduated with highest distinction as a Baker Scholar and a B.S. in International Studies, Accounting and Computer Information Systems from Indiana University where he graduated with highest distinction as a Wells and Chancellor's Scholar. Mr Polemitis studied abroad at the Sorbonne in Paris as an undergraduate. Mark Shay is a business leader with a 25-year history of success helping higher education institutions recruit and retain students. In an illustrious career that has spanned three decades, Mark has served over 3,000 customers, ranging from individual program managers, to university presidents and foreign governments. He is known throughout the higher education industry as an innovator for developing new advertiser sponsored products, creating student recruitment products for companies (his own and others), and guiding new initiatives and turnaround endeavors at universities. As part of the December, 2013 acquisition of Abroad101, Mark took over the management and day to day operations of this newest generation of recruiting tools. Mark is applying his entrepreneurial spirit to further expand and develop this new form of student recruiting, portals powered by student reviews. Balancing the needs of advisors, university administrators, program providers, students and their parents is the perfect challenge for Mark as he looks to both drive the market to expand by thinking differently while at the same time looking to make existing practices more efficient and effective.